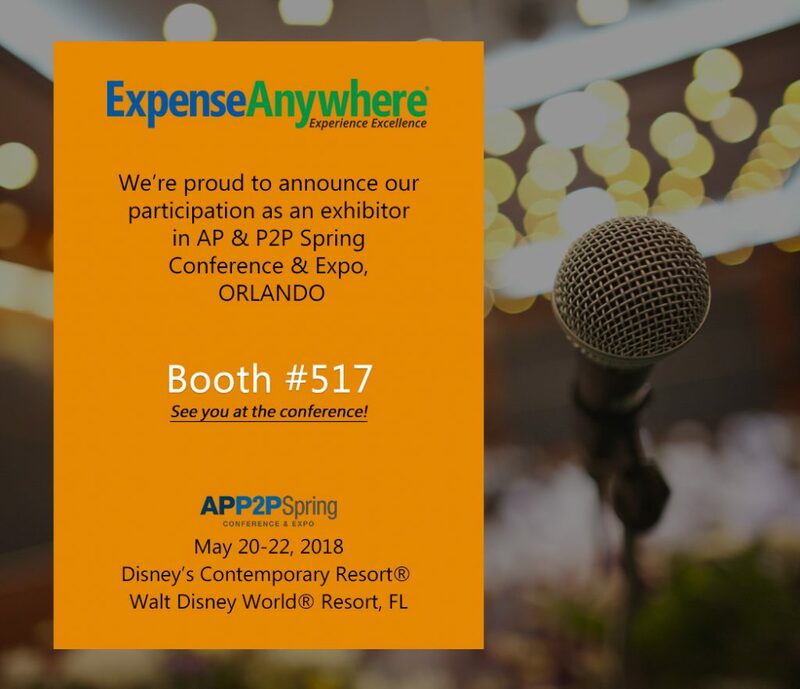 Let us simplify business travel management and unfold technologies that bring down costs and maximize productivity. 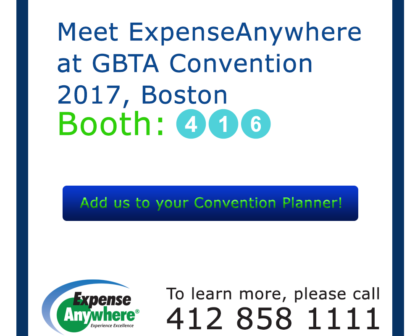 We are eager to meet you at GBTA Convention in Boston. How about scheduling up a prior meeting? 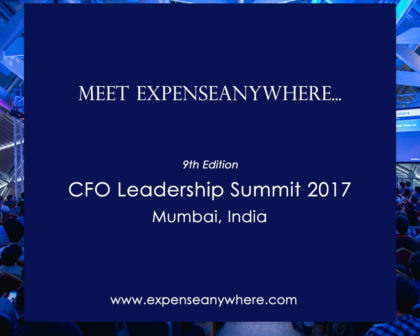 ExpenseAnywhere will be at The 9th CFO Leadership Summit and Awards, that appreciates and celebrates the sedulous efforts by the CFOs giving them a platform to share their expertise and also learn on the latest from their peers to contribute. Finance strategists, thought leaders and trend setters deliver visionary keynote presentations, real-life case studies and interactive sessions whilst networking and building a strong business relationship.